The ultimate guide to Davos ski holidays in 2019 & 2020. One of the biggest and most established resorts in Switzerland, Davos belongs to the elite group of classic ski resorts called the ‘Best of the Alps’. From families to party animals, there’s something for everyone - enjoy great ski conditions on thousands of metres of well-groomed piste and all the great conveniences you’d expect from a chic cosmopolitan town. 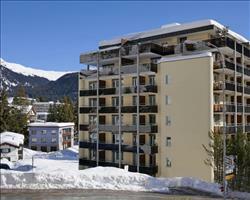 At 1560m, Davos is one of the oldest and highest towns in the Alps. 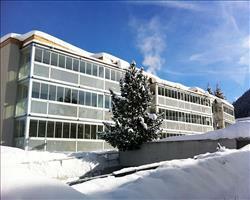 In fact, the first T-bar in Europe opened here in 1934. With its eminent reputation and fantastic skiing, it’s hardly surprising that it’s one of 12 classic resorts recently named “Best of the Alps”. 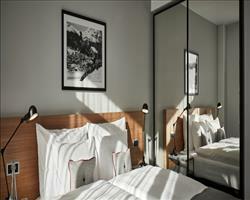 The resort is also recommended for children; the Swiss tourism association has granted it the “families welcome” award. The area has been attracting the famous and affluent for centuries, most notably ski pioneer and Sherlock Holmes creator, Sir Arthur Conan-Doyle. These days the town is famous for hosting international events such as the World Economic Forum, the UK parliamentary races, and the Spengler Cup ice-hockey tournament. 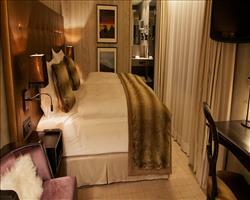 Originally a health and spa resort, it retains a chic feel with many luxury hotels and upmarket shops. There are, however, plenty of affordable options too. Visitors will also enjoy the variety of après-ski entertainment including some lively bars and restaurants. 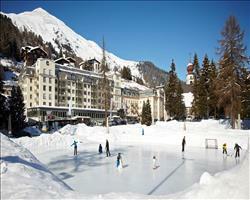 You can sample the local beer at the local brewery or skate at the largest natural ice rink in Europe. The resort has all the amenities you would expect from a proper town – supermarkets, specialist shops, a casino, cinema and sports centre. The busy centre is served by a network of free shuttle buses to transport you around town and to the lifts. All the gondolas, trains and buses in the area are covered by the lift pass, giving visitors access to the surrounding villages as well as a huge ski area; a trip by train to the picturesque village of Klosters is highly recommended. There are excellent rail links to Zürich and Basel and it takes just over 2 hours to drive from Zürich. If you fancy enhancing your journey you can take the romantic Glacier Express from Zermatt through some stunning alpine scenery. View our detailed Davos snow forecast or snow report and see all live webcams, piste maps, road and travel maps and lift pass prices. For a picture of historic snow conditions see the snow depths month by month with our Davos snow history. Since 2003, the resort has been linked with Klosters; the Rega ski pass now covers 6 areas, giving skiers access to over 300km of groomed piste. Beginners can walk to the Bolgen and Bünda bunny lifts from the town centre, where you’ll find ski schools and specialised snowboard school ‘Top Secret’. 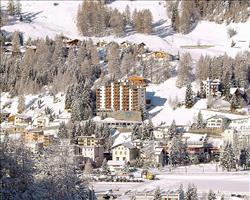 The Pischa, Madrisa and Rinerhorn areas are smaller and thus quieter and all offer children’s ski schools. For practicing at a slower pace, try Schatzalp/Strela, an official decelerated area with gentle rolling hillsides. The largest area is Parsenn – you can head up to Weissfluhjoch from here where you’ll find a choice of easy going blue runs. Intermediates can take the massive red run 22, followed by the pleasant route 21 and ski down to Klosters. Around here there are some good lines for off-piste through the trees. There is also the 12km run down to Küblis which is one of the longest runs in Europe. The only run from Parsenn back to town is a black, but if you’re not up for the challenge then simply take the train home from Klosters (about 20 min), or the speedy funicular back down. Experts looking for a challenge can whizz down to Wolfgang on the steep black route or negotiate the moguls under the Schwarzeealp chair. For powder enthusiasts, check out Pischa, a mecca for freeride routes which are marked and safeguarded against avalanches but left ungroomed. Snowboarders tend to favour the Jakobshorn area, with 2 halfpipes and a good selection of wide blue pistes. The pipe at the foot the mountain is one of Europe’s largest and used for the annual O’Neil Evolution boarding event. There are also two terrain parks - the Jatz park at 2300m is well kitted out with rails and some big kickers. Unlike some smaller resorts, this is a real town with excellent amenities. Be sure to stop by Weber café, where you can gorge on exquisite cakes and handmade Swiss chocolate. There are many gourmet restaurants for foodies to choose between – try Leonto Gourmet Restaurant for delicacies like partridge, or head to Giodavin for sushi. For a laid back atmosphere there is the family-friendly Italian La Carretta or the Alte Post Restaurant, which also has a cosy drinking ‘Stübli’. Venture a little out of town to the traditional alpine style Restaurant Teufi and sample regional specialities such as fondue, spätzli and rösti. The town also has its own brewery, Monstein, where you can try the local beer. The nightlife is lively too – Bolgenschanze bar attracts lots of boarders with djs and live music, Ex has whacky décor and a mixed crowd and for a big night out, head to the Rotliechtli club (keep an eye out for its legendary themed nights). Entertainment includes a casino, 3D cinema, and the Eau-là-là spa and swimming pool. 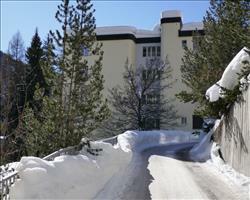 Take a trip to the winter-sport museum for an introduction to the history of skiing. There is also a sports centre with squash, badminton and tennis courts and an indoor climbing wall. The 9 toboggan runs make a fun alternative to skiing and you can also have a go at snowshoeing and pony trekking. When is the best time to ski Davos? The resort’s high altitude means it opens earlier and closes later in the year than most resorts in the Graubünden area, with the season starting in November and stretching through till the end of April. More than 80% of the resort is over 2000m and the number of south facing slopes make it a good early season destination. Snow cannons are installed on many pistes to ensure snow reliability. Christmas and New Years are busier times of the year. 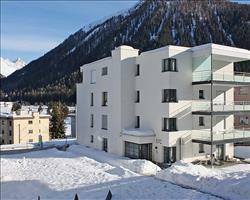 During the World Economic Forum accommodation gets booked out far in advance but the slopes are fairly quiet. With its great amenities and family-friendly atmosphere, it’s clear to see why Davos has been granted the ‘families welcome’ award by the Swiss tourism association. There are plenty of child-friendly restaurants like Restaurant Duncan where children are welcomed with open arms and catered for excellently. Children will also love the delicious handmade chocolates at the Weber bakery. For daytime care, there’s the excellent Kinderland children’s club on Madrisa, which runs children’s ski lessons and has a trampoline and bouncy castle. There’s also a children’s club in the Pischa area which provides childcare by the hour. Ask us about accommodation with on-site childcare if this will make things easier. On the Rinerhorn you’ll find the ‘Dwarf Course’, where adventurous youngsters can navigate obstacles and small jumps - confident teens will love the Jatz snow park. Aside from skiing there are attractions for all ages. The resort is famous for its 9 toboggan runs - the most popular finishes at the town square (it also features in Thomas Mann’s novel ‘The Magic Mountain’). You’ll also find a terrific sports centre with good facilities including a climbing wall with routes suited to children. A trip to the Eau-là-là spa and swimming pool will entertain both little ones and grownups - while the kids splash about on the 80m waterslide, adults can relax outside in the heated pool and admire the alpine scenery. Families will feel at home in one of our friendly hotels. Browse what’s available below and look out for promotions, including discounts and freebies. If you choose a package deal with inclusive flights and transfers you can also make some great savings. To book or discuss your holiday with one of our staff just give us a call, we’re happy to help. Hotels are a good option for groups since you don’t need to know your exact group size for your initial booking. Indecisive friends can book later once they realise what they are missing out on! 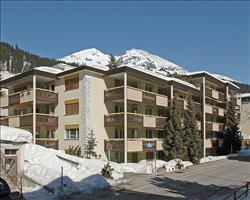 It often works best to choose a larger hotel if you’re in a group – try the Hotel Seehof which is right next to the main ski lift, or the excellent Hilton Hotel Garden Inn, conveniently situated in the middle of town close to shops and restaurants. Staying at a hotel means you have the privacy of your own room, but you also have the option to socialise in the restaurant or bar areas, and of course you can always venture out into town. Davos makes a great destination for groups as everyone is catered for, thanks to the remarkable variety of skiing available. Beginners can stick to the easy blue runs in the Parsenn area, while intermediates and experienced skiers can venture further afield and ski over to Klosters, or enjoy the fantastic off-piste. 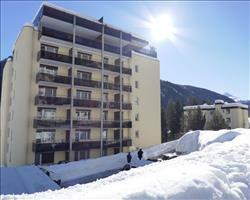 Children are well accommodated for with a big children’s park and ski school on Madrisa. Any snowboarders will fit right in too - those looking for a thrill can show off on the half pipes at the impressive Jatz snowpark. Don’t worry if some of your group would rather not ski, there’s plenty of other entertainment to suit all ages and interests. Pamper yourself at the fabulous Eau-là-là spa and swimming pool with a massage and spa treatments, go hiking on the well signposted paths, or ice skate at Europe’s largest natural ice rink. Travelling with a group of friends is always fun, but there’s nothing like partying the night away together in the mountains. Davos has a great range of night-life: head to Ex bar for a cocktail or two (make that three…), or dance to some live music at the Rotliechtli. "Great off-piste on powder days"
Davos has some really fantastic off-piste skiing. There are marked trails which are patrolled but left ungroomed, so you can really make the most of any powder days. 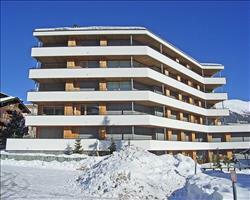 Davos town itself is very attractive with some great upmarket shopping and restaurants. The town also has excellent public transport links, in particular the rail links. The train from Zurich airport to Davos takes two and a half hours, travelling through beautiful mountain scenery.